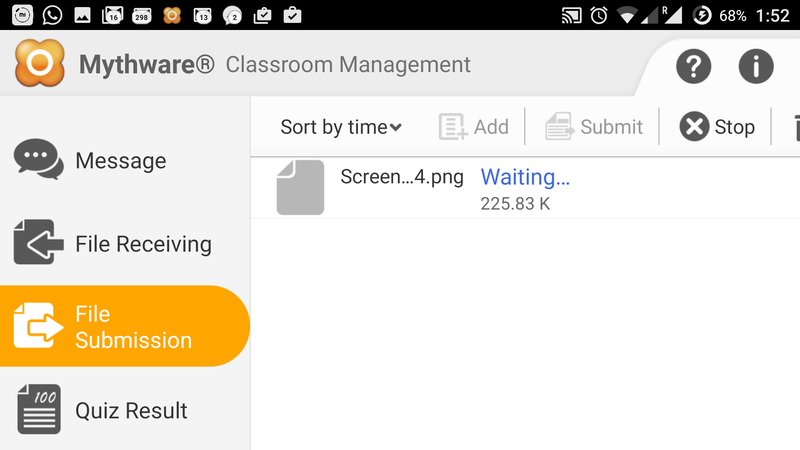 Mythware Classroom Management Software for Android | Planet TechEd Inc.
By Application Monitoring, the instructor can monitor all the student applications including background applications. 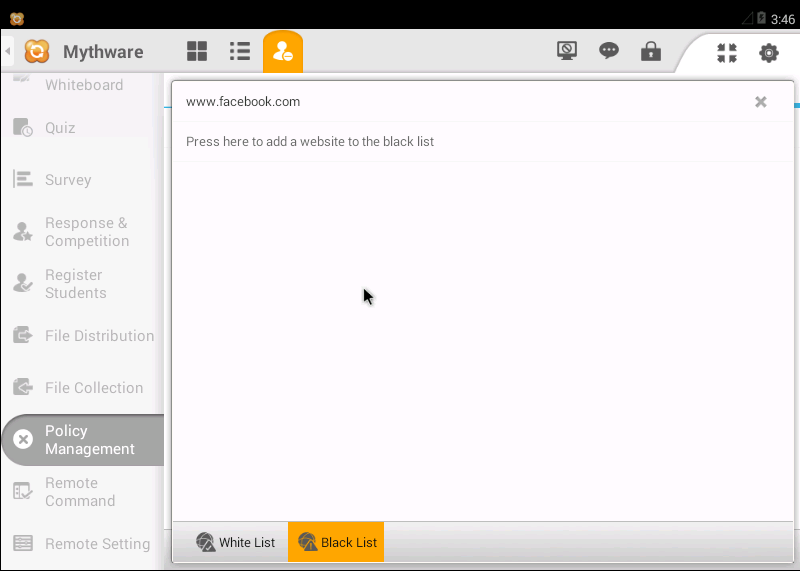 Also the instructor can create white or black list to prevent restricted applications from running on students’ tablets. 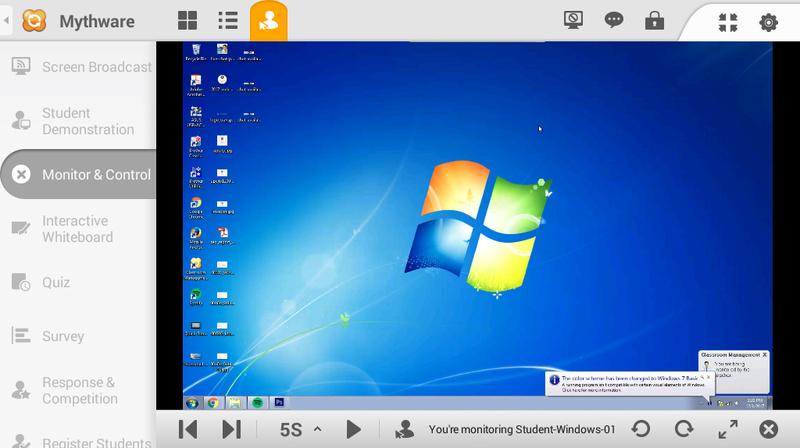 By Application Monitoring, the instructor can monitor all the opening websites of students. 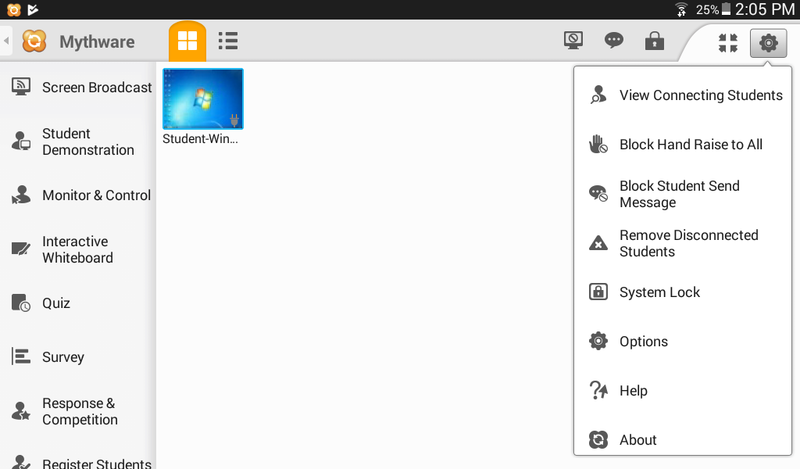 By creating white or black list, instructor can prevent restricted websites from opening on students’ tablets. 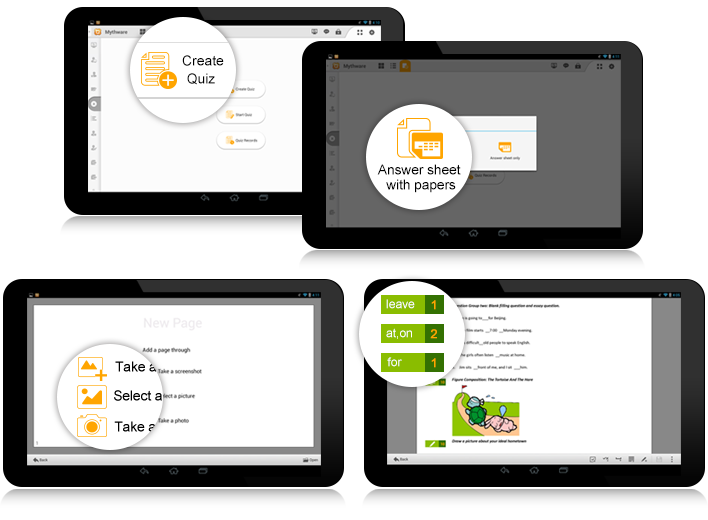 Mythware Classroom Management Software for Android helps facilitate student interaction in the classroom.It is designed to keep students focused and engaged in learning – from absorbing information to creating content.The application is purpose-built for 1:1 eLearning,and supports diverse individual learning styles. By display one student’s screen on other student’s computers, instructor can let the students share their work and highlight creative solutions or common problems to selected students or all of them. Launching individual or group competition with responders is a great way to help the teacher test the teaching efficiency. Each competition can be assessed with awards, so when the whole competitions are finished, every students or group will have a clear grade. 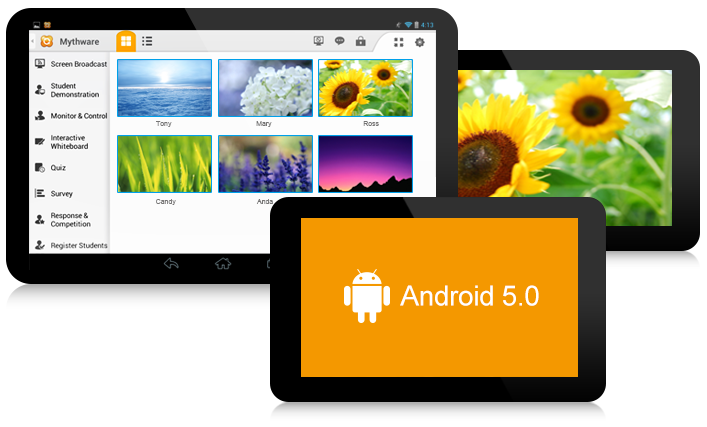 In order to make the classroom management easier and more convenient, Classroom Management for Android allows automatic connection between students’ tablets and teachers’. 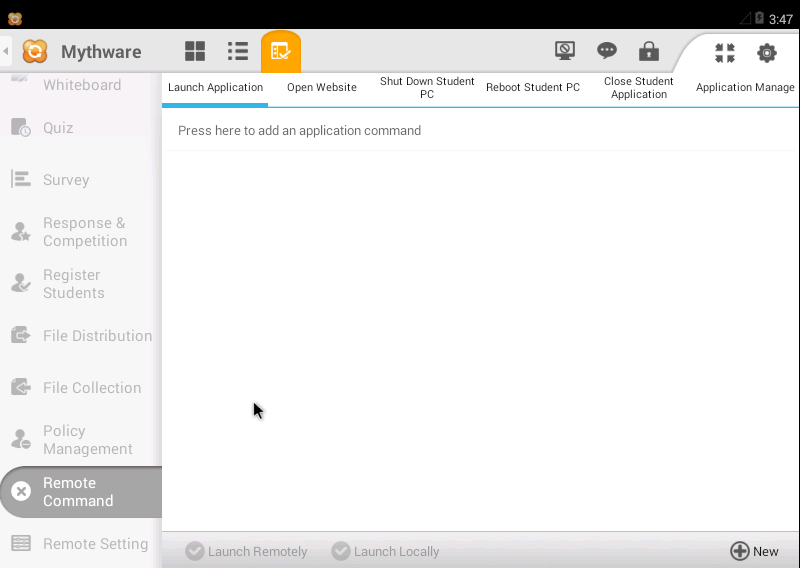 Teacher can shut down or reboot students’ tablets in a single action. 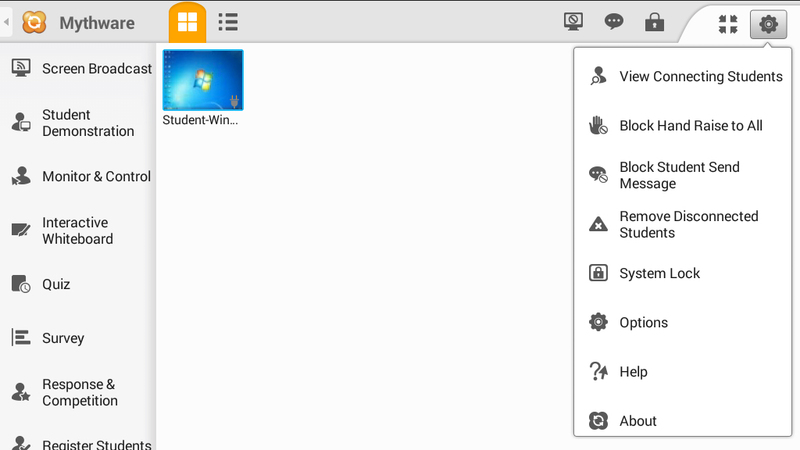 Lock all students to class model upon start up and maintain this connection until they are “unlocked”. Instructor can ask students to provide their student ID and other information at the start of class. Such registration information can be exported. 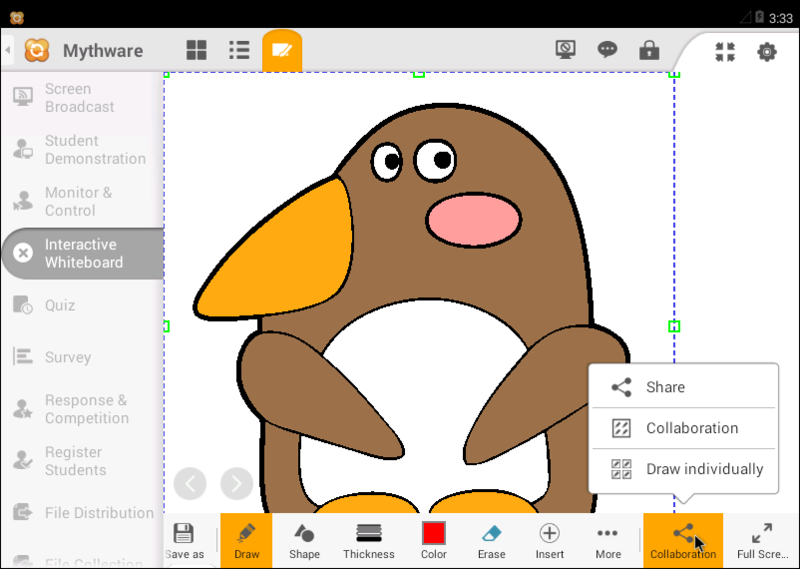 Instructor can distribute files to all or selected students. 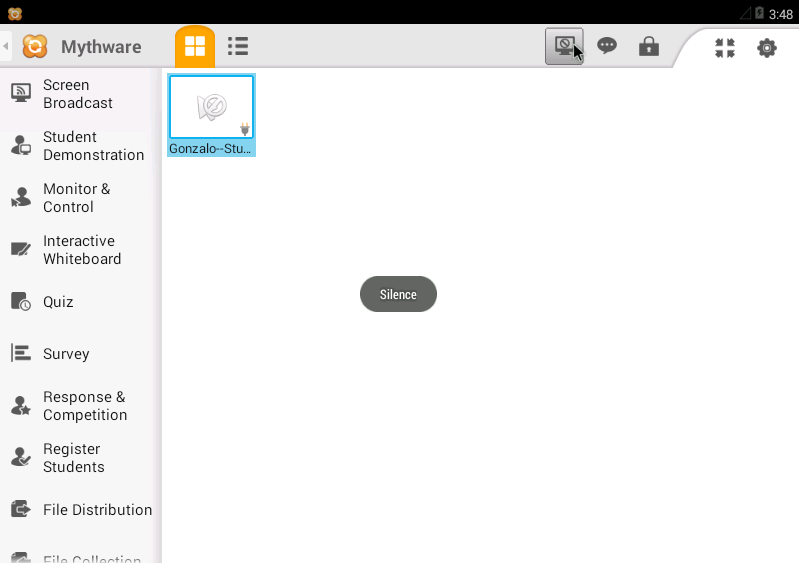 On the student side it will pop out a dialog to receive such files distributed by the instructor. Instructor can also collect files from all or selected students at any time and students can submit files to the instructor during class. 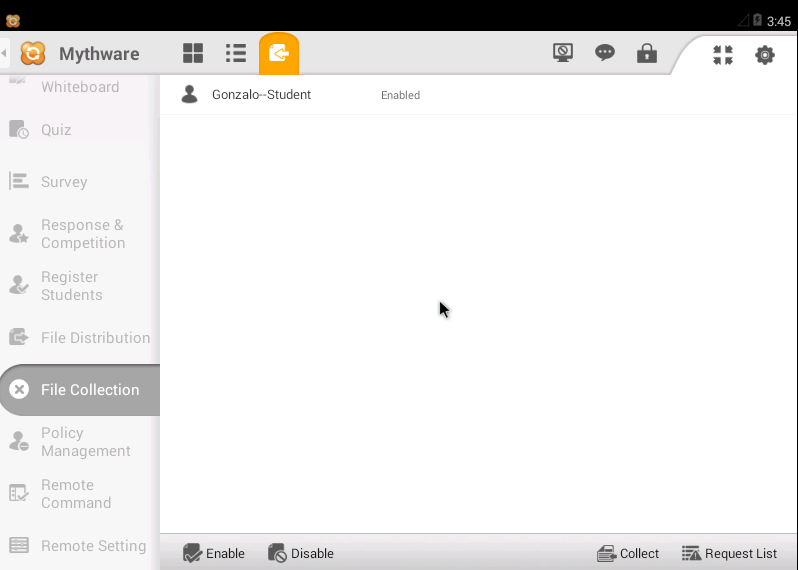 In order to gain students attention during the learning process, instructor can blank the student screen, so student’s screens will be locked at the same time. 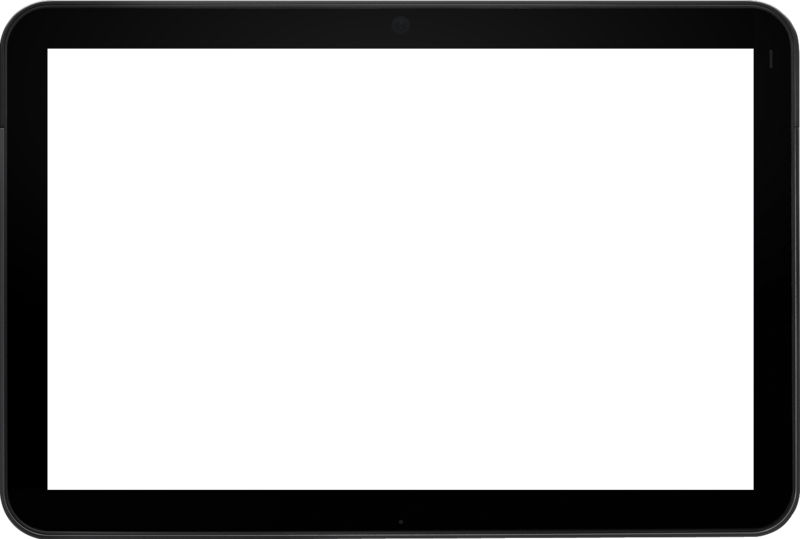 Save battery power of teacher and students by changing the configuration; set date & time, display, sound, language and Wi-Fi of students’ tablets; hide the Set Name button of student; set to vibrate when students touch the screen. 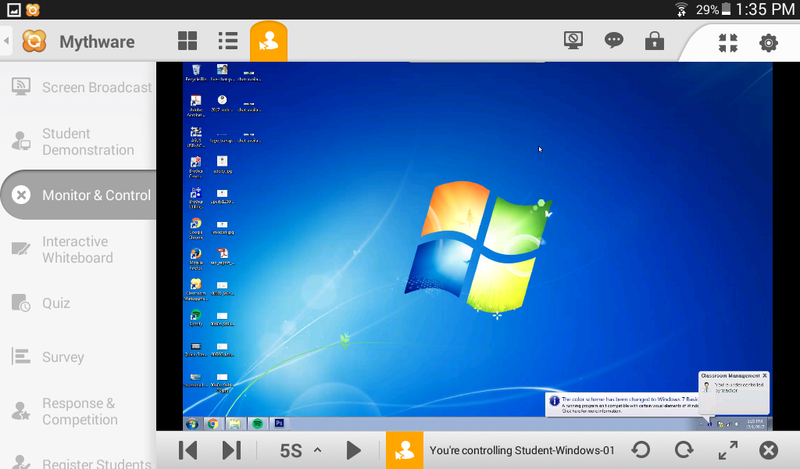 Reboot and shut down one or more student’s tablets remotely. 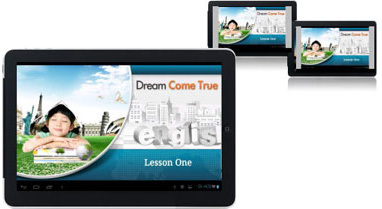 Teachers can launch applications on student’s tablets remotely. 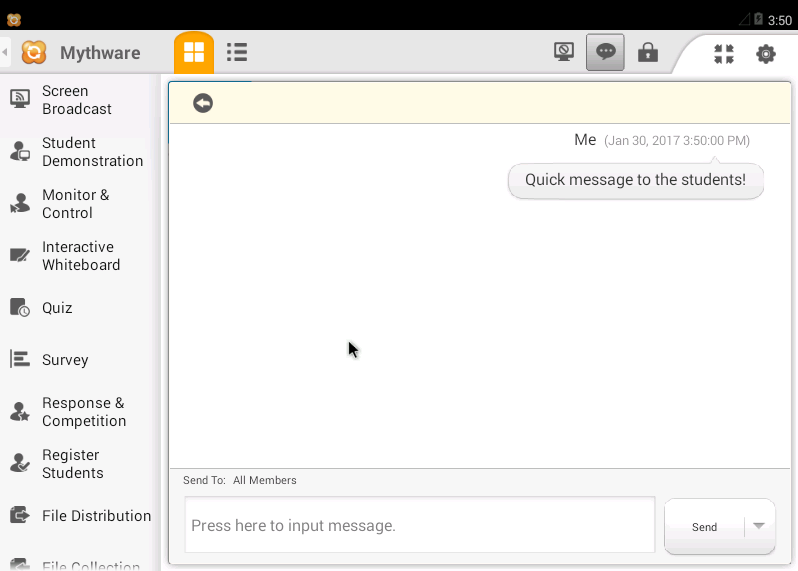 Teachers can open websites on student’s tablets remotely. 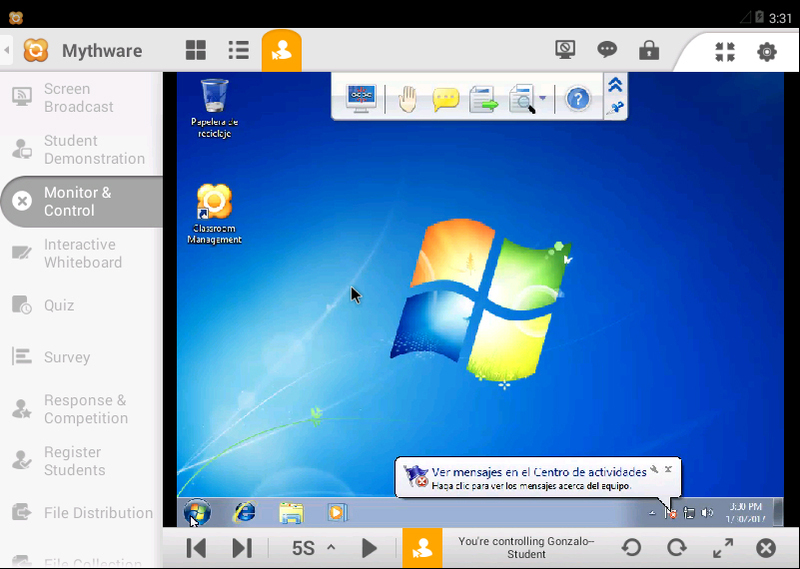 Teachers also can install or uninstall applications of students remotely. 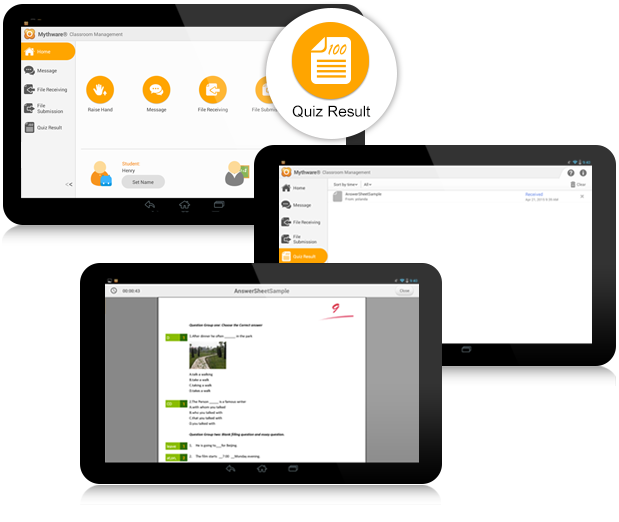 With a practical set of features, Android Classroom Management Program allows instructors to evaluate student progress by creating and administering quiz papers. Instructors can also give students an instant survey comprising a single question, which can be a useful tool for assessing individual learning during lectures and discussions. 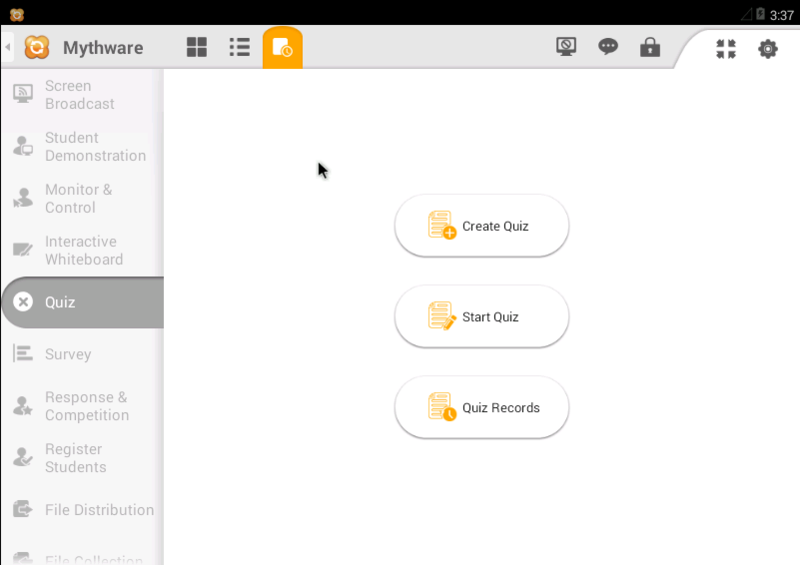 Quiz is one of the simplest ways for instructors to test the students what they have learned or check the learning efficiency. 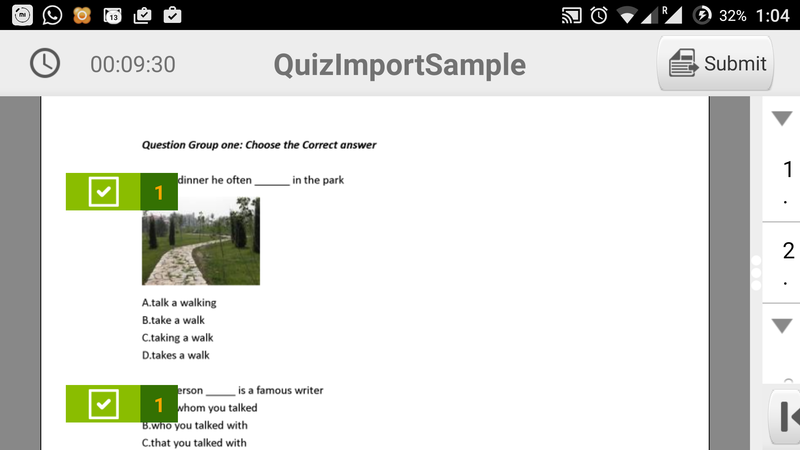 Instructor can create a quiz with five kinds of question: multi-choice, true or false, fill-in-blank, essay and handwriting question. 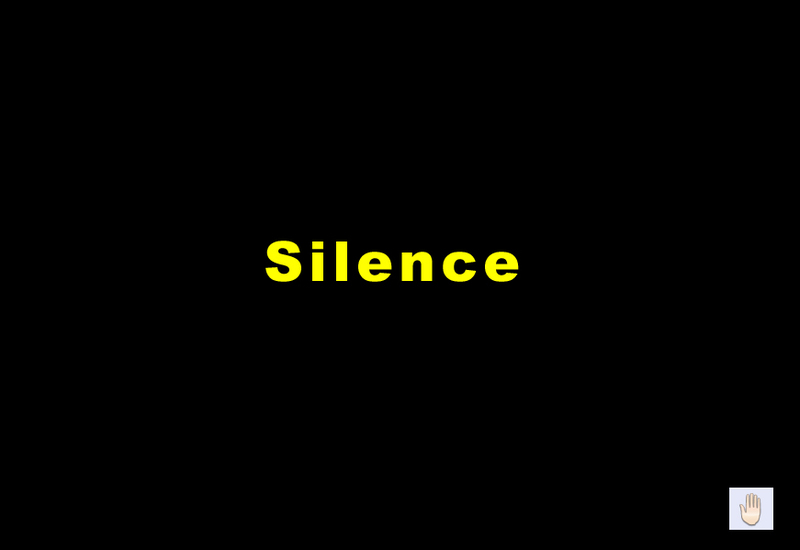 By starting quiz with quiz paper and answer sheet, it will be clear and convenient for students to finish such testing. 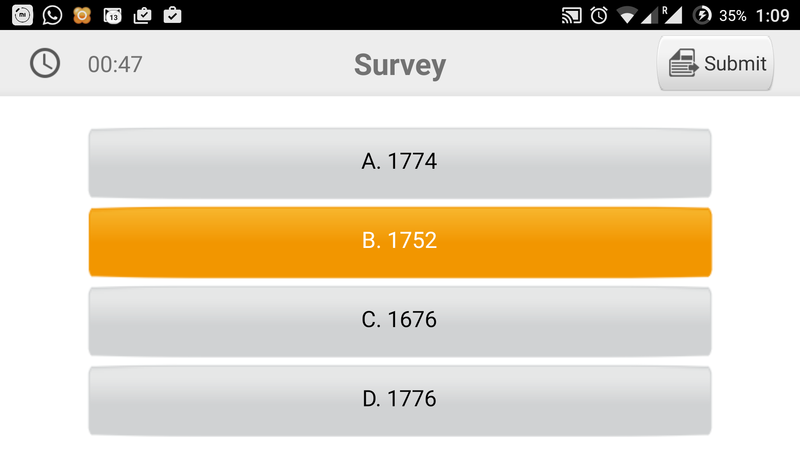 Add Quiz Result button on student’s side to view history results. 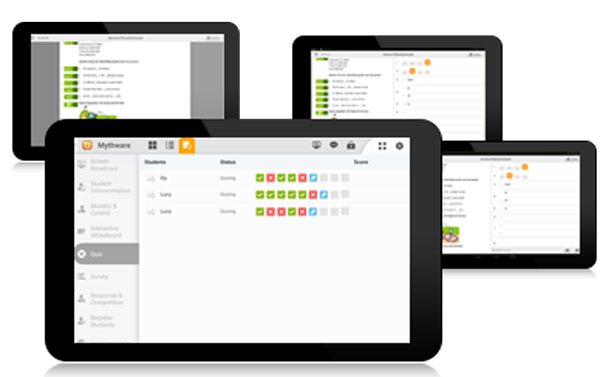 Guide every user to fully use every function of classroom management for android. Minimum Requirements: CPU 1G, 1Gbytes Memory. Recommended Requirements: CPU Dual-core 1.6G, 2Gbytes Memory. Minimum Requirements: CPU 1G, 512Mbytes Memory.